Sweeten their birthday with a colorful cake piñata! 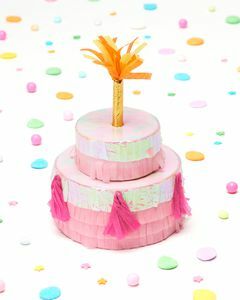 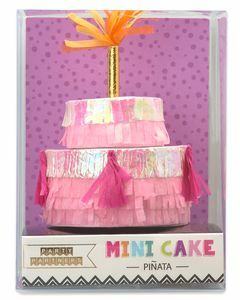 This mini cake piñata features a super small size (3” x 3-3/4”) decorated with brightly colored tissue paper and shiny metallic foil with festive fringes and folds. 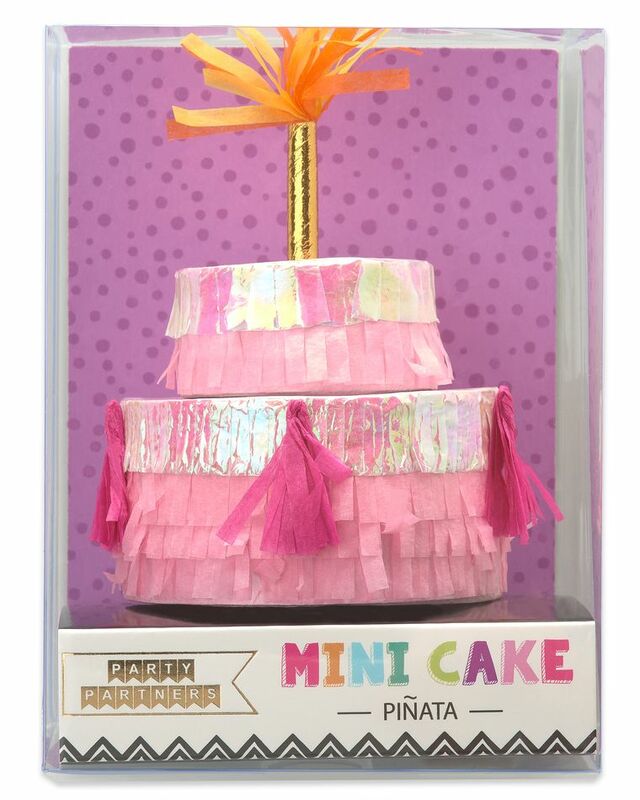 Fill it with candy, money, party favors and other tiny treats, and then let everyone take turns trying to open it. 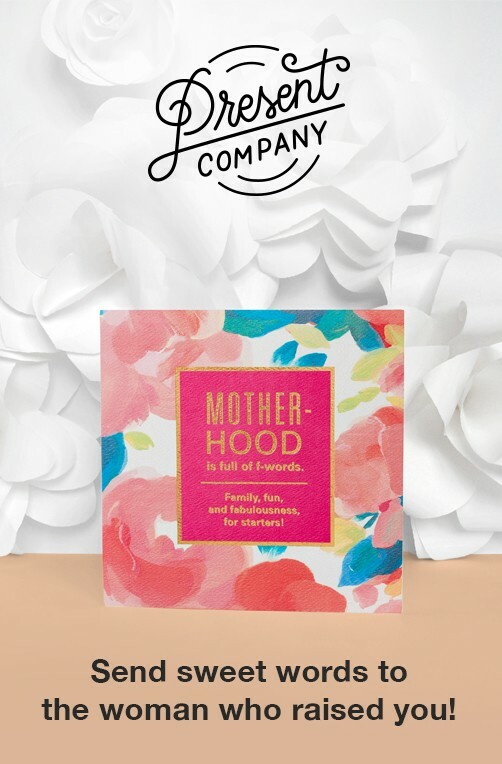 Makes the perfect addition to your party table and a fun activity for all ages! 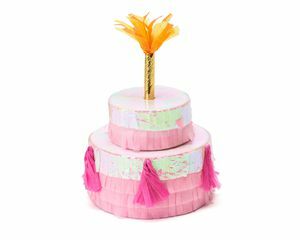 Fill w/ candy or money!